Pulled Pork Sliders on Hawaiian rolls certainly isn’t a new idea, but they’re an idea worth sharing. I recently made them for the Super Bowl, and I’m still blown away by how tasty they were! This whole recipe is really simple. 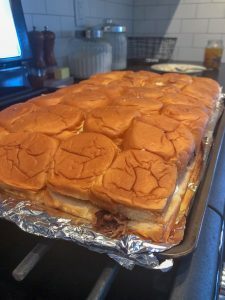 If you haven’t had sliders on Hawaiian rolls, you’re missing out. The rolls really make a difference. They’re sweet and fluffy, and when they get toasted a little in the smoker… damn they’re good. Before we get to the sliders, we have to make some pulled pork. I made the pulled pork just like I usually do for these sliders, but before putting the pork shoulder on the smoker, I injected it with root beer. 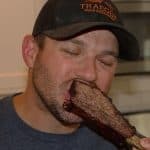 My hope was that the root beer would break down the meat a little more, and add a little sweetness to the meat. It worked! 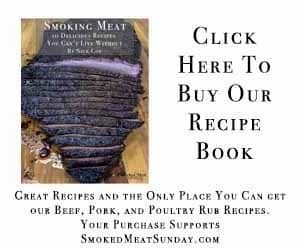 It usually takes at least 12 hours to smoke a pork shoulder for pulled pork. 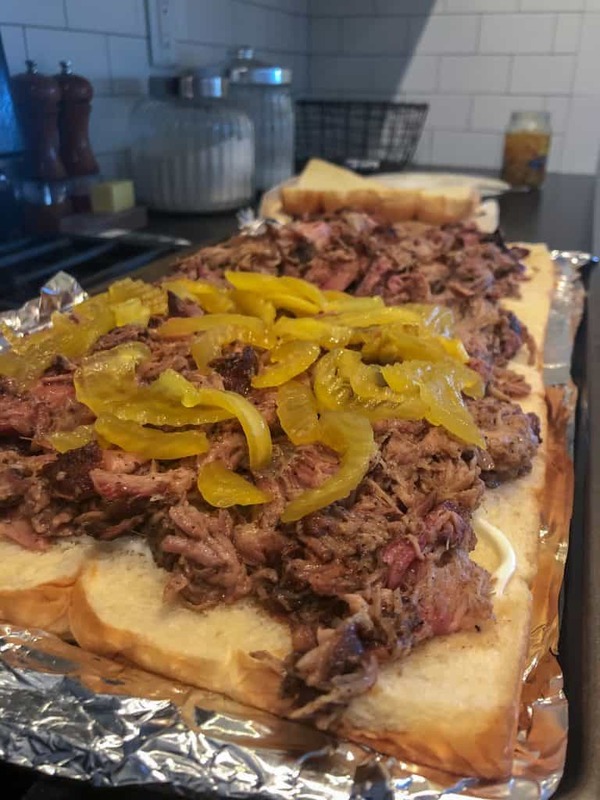 So, make the pulled pork ahead of time. 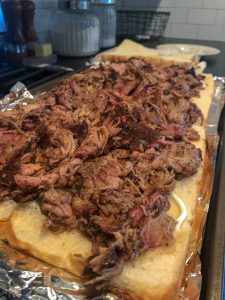 Once the pulled pork is ready, you only have about thirty minutes more of prep work and cooking time. 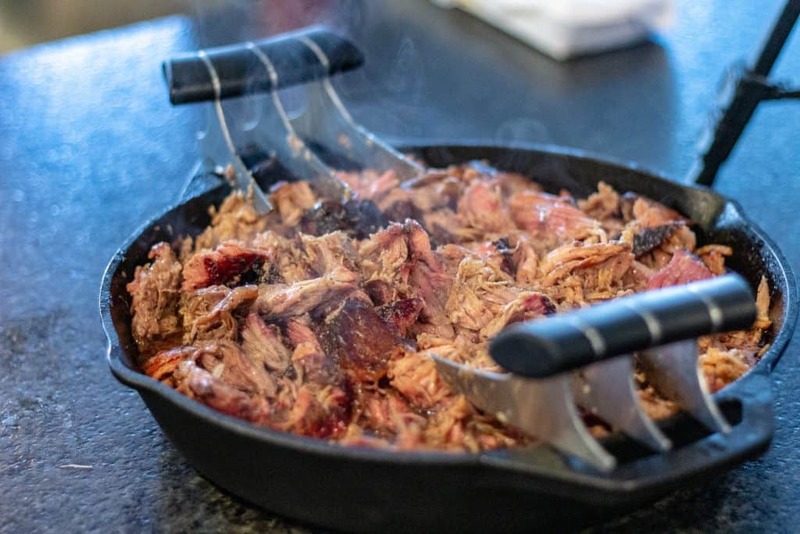 I like shredding pork shoulder in my cast iron skillet. It’s big enough to hold one shoulder, and easy to cover and store if there are leftovers. Once the pork is ready to go, it’s time to construct the sliders. 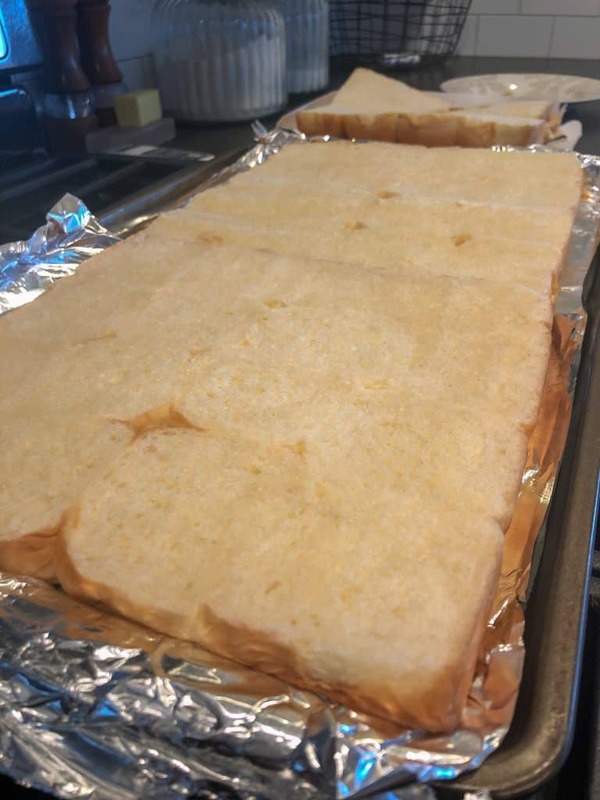 I used two packages of King’s Hawaiian rolls, and using a sharp knife, sliced them in half. 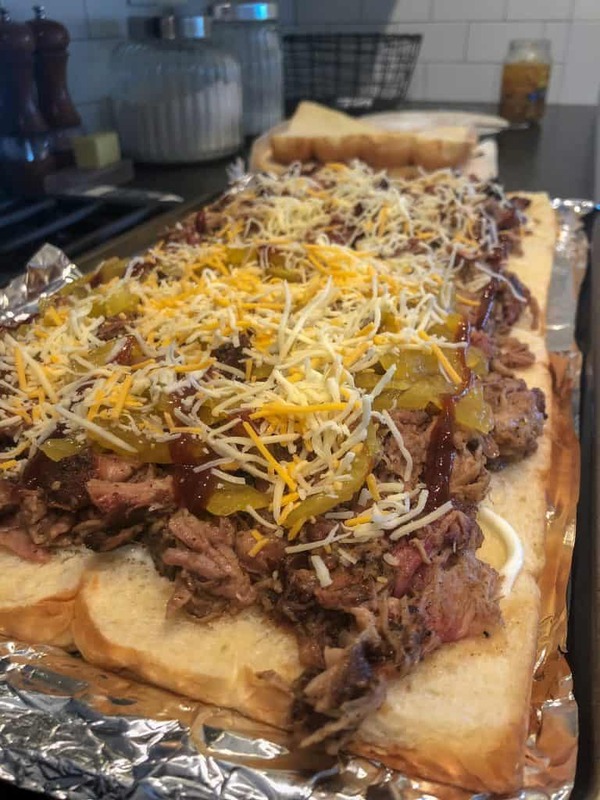 After putting the rolls on a cookie sheet lined with foil, drizzle some squeeze butter on the rolls, followed by pulled pork, bbq sauce, pickled onions, and shredded cheese. 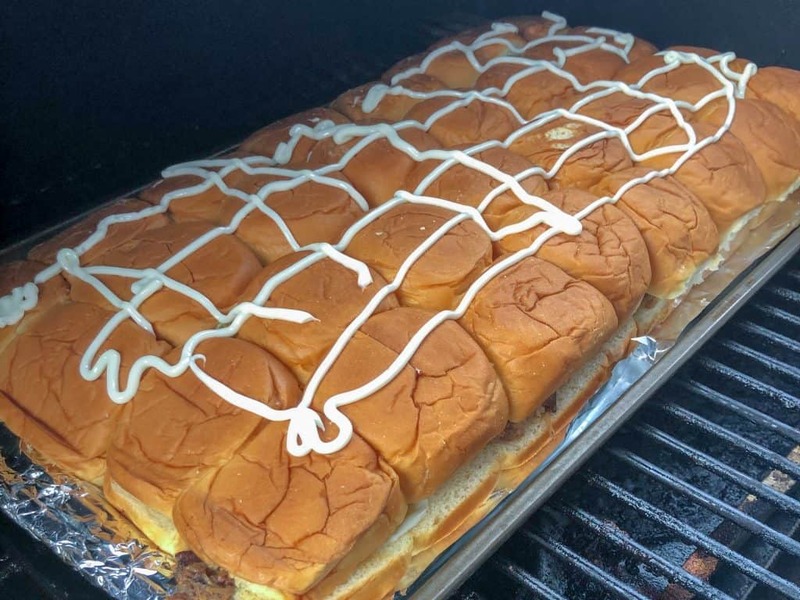 Top off the sliders with the other half of the hawaiian rolls, and drizzle with more squeeze butter, and then put in your smoker set to 350 degrees. Let them cook for about 20 minutes, and then enjoy! I served these for the Super Bowl this year and my friends LOVED them. If you’re looking for some more pulled pork recipe ideas be sure to check out my cheesy pulled pork burritos! 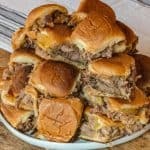 Pulled Pork Sliders on Hawaiian rolls certainly isn’t a new idea, but they’re an idea worth sharing. If you haven’t had sliders on Hawaiian rolls, you’re missing out. The rolls really make a difference. They’re sweet and fluffy, and when they get toasted a little in the smoker… damn they’re good. After preparing your pulled pork, put your rolls on a large cookie sheet. When you’re ready to cook the sliders, place the cookie sheet (uncovered) in your smoker heated up to 350 degrees. Let the sliders cook for about 20 minutes, or until the rolls start to crisp up on top.